On a serious note really like the fact that they operate largely in Nambia. Good emerging economy for growth. Both Botswana and Namibia are really progressive and expanding markets to be in. But not sure about Trusts share price...havent looked into it but they are on my tracking shares list. Thanks, yea I know they own a bunch of properties in Namibia and I like property. Anyone taking up that new European etf private placement that EastEquities just announced? Put some more info, I missed this announcement. “If you're interested in global exposure (and I know most of us are!) then you may have heard of BlackRock, or noticed their ETFs on our platform. BlackRock is an American global investment management corporation based in New York City and the world's largest asset manager. Yep, they are like the bomb. Today BlackRock is giving the EasyEquities community an opportunity to participate in the private placement of the Blackrock Greater Europe Investment Trust PLC (BRGE's). This trust is focussed on achieving capital growth primarily through investment of large, mid, and small capitalisation European companies, together with some investment in the developing markets of Europe. Basically, they target European companies to give our portfolios a chance of capital growth. Get more information here, or watch this quick chat covering some keys points with Bradley Kaplan, Special Ops (he's cooler than a Navy Seal) Purple Group and EasyEquities Brand Manager Carly Barnes. 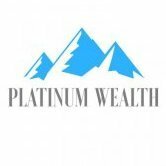 You’ll be able to put in a request to be the first to buy into this private placement before it is available to the market. You need to apply to participate in the private placement before 15h00 on Friday 17th November 2017. On 20 November 2017 the allocations will be anounced. Fingers crossed! We need to to receive at least R1milllion or more to collectively qualify for the private placement. With the Easy community, that's a low bar - so go! We will notify BlackRock of the total amount requested by our users and they will in turn purchase the underlying constituents, less any costs. Did we mention you pay no brokerage fees on this investment? Yep. How cool is that? On Friday, 24 November 2017, the private placement will be listed on the JSE. Received through an email from EE. BTW - have been using divi's to buy Lewis. Basically, if SA inc starts to move again retailers should start picking up. Lewis is well run (even if I would not be a customer) - on a low sub 10 P/E (around 8.5) - NAV is R60. They also not geared at all and have around 680mill in the bank - so no chance of going under. In the last couple of years they have increase their footprint by buying failing competitors. When times are good, they are big dividend payers. Yup, not very exciting, and will not shoot the lights out - but not that risky in my book, and in a a couple of years you could be seeing a very healthy dividend. I think I'm going to look into Lewis, your the third person now that mentioned them basically in the sense that, safe boring company that should do well when the economy starts again. 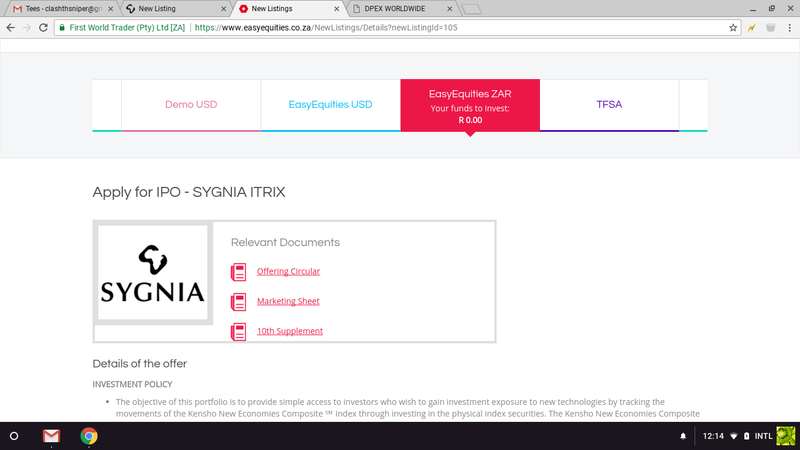 Yesterday I got an email from Sygnia regarding their new 4th Industrial Revolution ETF IPO. They currently has this as a unit trust, but they are launching this as an ETF on 6th Dec. Last day to join in on the IPO is 30th Nov.
Did anybody else get any invites to this IPO through their stockbroker?? Normally Easy Equities sends me such invites, but I haven't received anything yet. I've got my second RA through Sygnia, but my TFSA at EE. I'm not sure which would be cheaper to invest through, but EE is always A LOT faster to process any funds deposited. Their marketing sheet states a TER of about 0.70% pa.
For those interested, i have attached the what they emailed me. I'm waiting for payday before i commit to anything. Any thoughts anyone? Gonzaga said, "The coffee culture has grown here in the past few years and the Durban market is ready for the Starbucks experience". Wait until those behind-the-times Dubranites realise Starbucks isn't that great. Seatle Coffee FTFW! I'm definitely getting in on this. Other assets excluding Spur:The 15% stake in SunWest International, which operates the cash-spinning GrandWest casino in Cape Town, remains GPI’s largest investment. The value is estimated at R875m — equivalent to 199c/share.The combined values of all its gaming assets is more than 340c/share. GPI values its 91.1% stake in the 70-outlet Burger King at R660m (equivalent to about 150c/share) and the net cash holdings of R300m is worth 68c/share.Total value excluding Spur = 558 cents per share. So, at current prices you are getting the cash generating gaming assets at a 20% discount and the rest of the assets for free! No wonder Hassan Adams and co. are loading up. So my question, who here is investing in GPI? Option 1) I can sell my profits and buy into some of my under-invested stocks to balance my profile again before the January release of financials. Option 2) I can keep me Ellies stocks until the January announcement of financials and risk losing it all or scoring big time. Normally, I would naturally hold the stock and see, but at the moment, it makes up a large chunk of my portfolio due to my past luck with Ellies earlier this year. So, any thoughts on Ellies' future? I think Ellies is the stock that guy from Anchor Group said was [email protected], what is that guy's name... slipping my mind, Clark something. But what do they know! That said, I think Simon was also quite negative about the stock some time back either beginning of the year or lat year and I value his views quite a bit. But wait! We can tag him @SimonPB what do you think about Ellies? What happened to my post? And why can't I edit it?